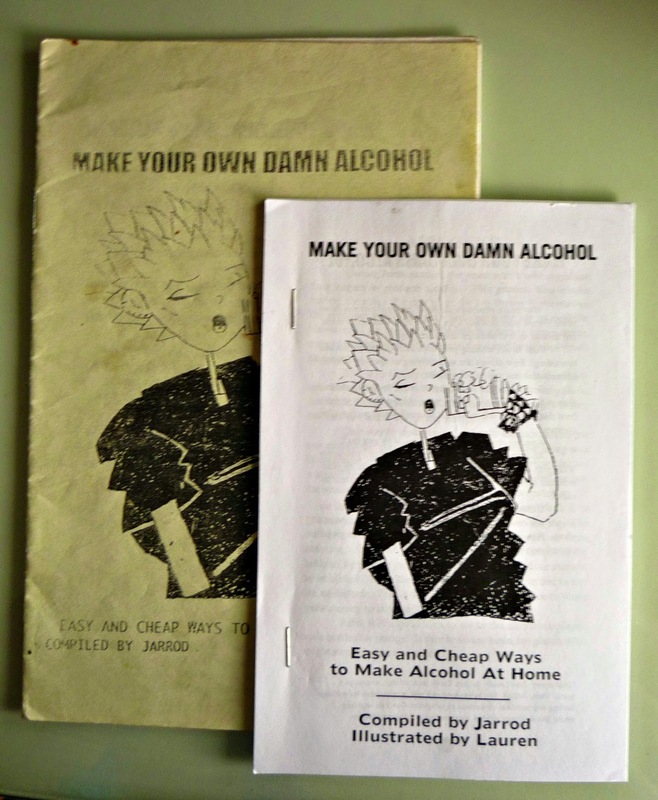 I only own a handful of zines but for some reason I have two copies of this zine. The approach to brewing is very causal which is a nice different from the dogmatic approach that usually appears in main-stream literature on the subject. Sometimes publications with a causal approach to brewing neglect the most important, at least to me, aspect of brewing - the taste! The recipe for Wine Cooler acknowledges that it probably won't taste good but mixing it with lemon-lime soda will improve the taste. Some of the methods seem weird (like boiling mead for 2 hours) but there are some interesting recipes (like the Rose Brew). Overall a nice introduction to brewing.